We’re back with another episode of See You Next Wednesday. This week, Greg and Dan crawl through the mud, sleep inside a horse’s carcass, eat a raw liver, and saddle up with The Revenant. 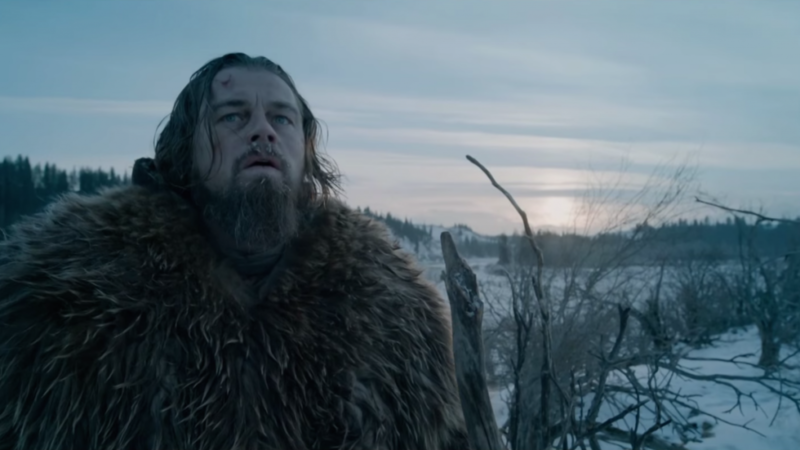 Is this the performance that gives Leonardo DiCaprio his golden statue? We weigh in, before Casey thinks like a man who watched Think Like A Man and goes off on this hateful piece of seemingly innocuous rom-com fluff; what’s got Casey so riled up? You’ll have to listen in to find out, but it’s certainly not the rainbow-tinged tunes of Lil Bub’s Science & Magic, our punishment album for the week. But first, we talk about Creed II possibilities, review a bevvy of movies (including Creed, The Seven-Five, Get Crazy, End of Days, The Big Short, Wild, and more) before figuring out what the extra F in Stephen Dorff stands for. All of this, plus our See You Next Wednesday Top 10 films of 2015 at the end of the episode – get listening! And let us know what we missed, or what we got wrong!